Think about all the great things Twitter has done for society. It keeps us up to date on breaking news, fosters healthy discussion, embarrasses famous people, and most importantly, makes hot women more accessible than ever. From simple tweets describing their day to tantalizing Twitpics, the sexiest celebrities in the world have found a way to make us feel more at ease with our fanatical admiration of them. 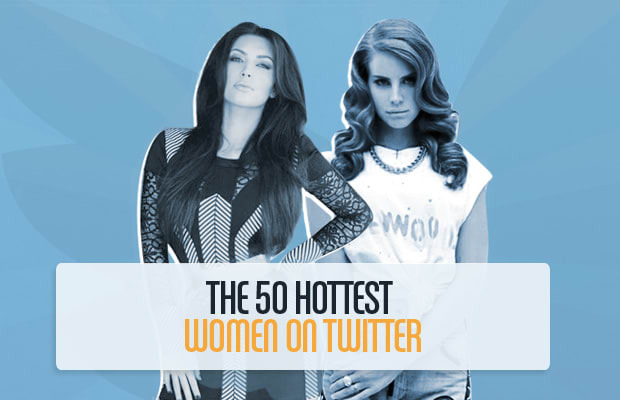 Forget fan mail and Google Street View stalking, you can get as close as possible to The 50 Hottest Women On Twitter just by clicking "Follow."